Providing adequate, accessible, and affordable housing is a major problem affecting many African countries. 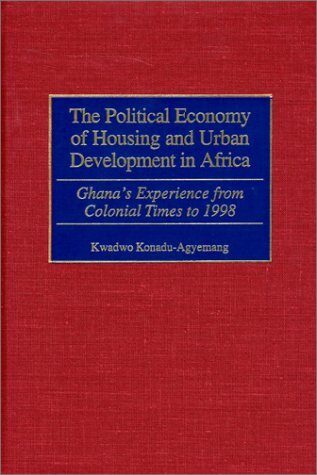 Focusing on the West African country of Ghana, Konadu-Agyemang explores the urban housing question in light of current development theories. He concludes that it would be naive to see Ghana's housing crisis primarily as a result of political instability or economic mismanagement. Instead, the author argues that economic and social problems in Africa are products of the structural distortions created by colonialism and the draining of African resources to European countries. The postcolonial continuation of relations of dependency has led to underdevelopment, which is manifested in malformed urban areas characterized by housing shortages, slum environments, and atrophied infrastructures.